NishoSoul promised us, in his January interview with me, that this year would see a lot more movement from him on the music front. With the...delivery (had to) of his latest visuals, "Deliverance," he's more than keeping his end of the deal. While "Deliverance" itself has been making its way through the airwaves for a few years now--the track originally released in 2016--the visuals are crisp and borderline timeless. 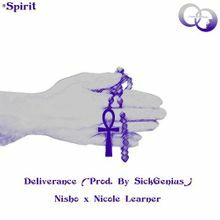 The visuals themselves are a bit simple, as most of the video shows Nisho and Nicole Learner in the DMV at night rapping their bars. However, sometimes it's better to keep it simple. In opting to do so, listeners can focus on the lyricism both ColeandSoul hosts deliver on this one. Check out the video below and remember to support dope music in all its forms.